I have always been pretty much impressed by this brand’s packaging . The pencil comes packaged in a a silver cardboard box. The pencil and the cardboard both have been color coordinated with their ends reflecting the shade. So, whether you store these pencils in the box or in a stand, it’s easy to pick up the colour you want in a jiffy. They claim the product to be a liner .I was expecting it to be something like nyx black liner . I was a little disappointed to see they are pencils that needs to be sharpened . The lid also does’nt come with a sharpner ,nor do you get a sharpner with the product . 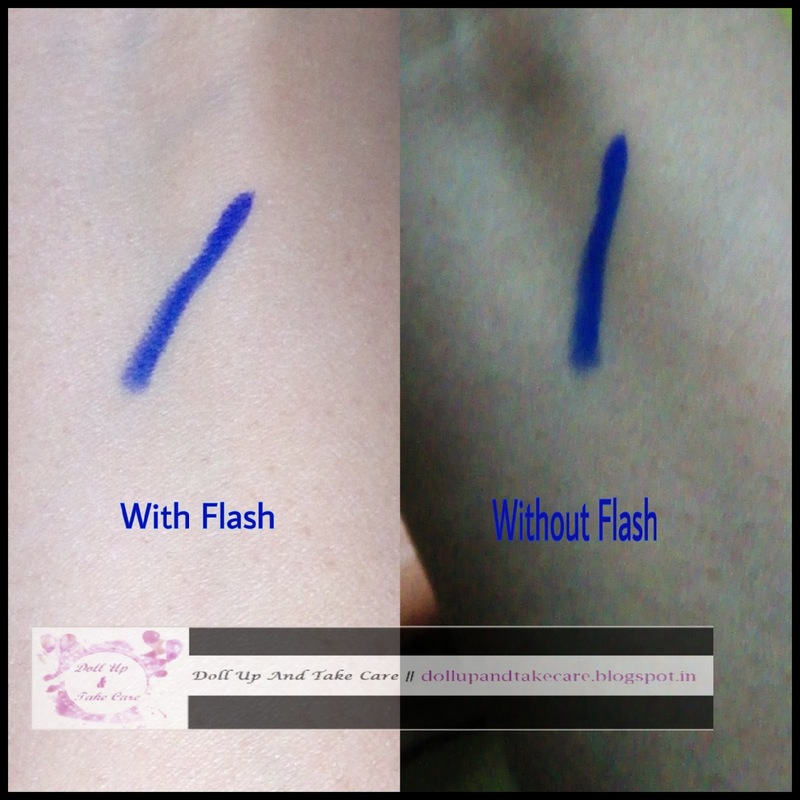 Do not be disappointed the pigmentation takes the cake. 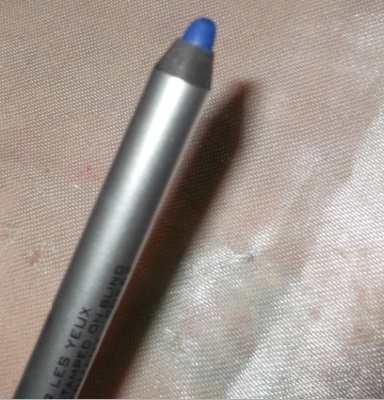 This highly pigmented i-glide liner I am talking about is very bright topaz blue .You can create any look wid it keeping it thick or thin depending on the look you want to achieve. This liner defines like a pencil and glides like liquid eyeliner, the I-Glide Eye Pencil, with its smooth formulation, gives your eyes rich colour in a single stroke and blends in easily after application. 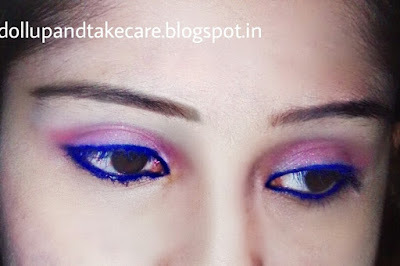 It lasted pretty long on my lids .The best part is you can use it as both kajal and liner . The the tightlining job is hassle free with it . It lasts more than 9 hours, does not feather or bleed. Waterproof, super long wear, no transfer and smudge-proof.